Admiral Kirk's defeat of Khan and the creation of the Genesis planet are empty victories. Spock is dead and McCoy is, seemingly inexplicably, being driven insane. Then an unexpected visit from Sarek, Spock's father, provides a startling revelation: McCoy is harboring Spock's living essence. 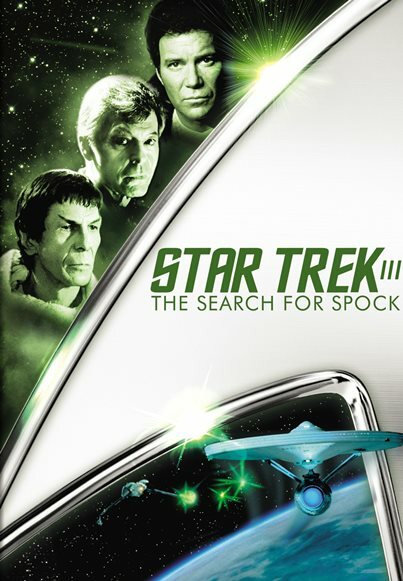 With one friend alive and one not, but both in pain, Kirk attempts to help his friends by stealing the Enterprise and defying Starfleet's Genesis quarantine. But the Klingons have also learned of Genesis and race to meet Kirk in a deadly rendezvous.